Fall is, by far, my favorite season. There’s nothing like cuddling up at night and watching a movie by the fire; drinking piping hot, fresh-pressed apple cider; going pumpkin or apple-picking; the homey scents of cinnamon, nutmeg, apple, and clove; the baking that comes along with those same scents; scarves; boots; chunky-knit sweaters… the list is endless. Fall is just such a magical time! Even though I prefer my scarecrows to be on the scarier side, today’s scarecrows are anything but terrifying. First, they’re made of Oreos which definitely makes them tastier than your average hay-made man. 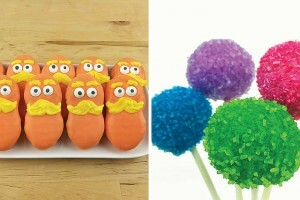 Second, they have cute facial expressions that are a cinch to make by using everyday, household ingredients. 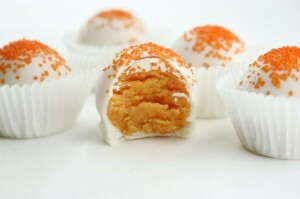 And third, they’re just so cute and epitomize fall in a cookie pop. 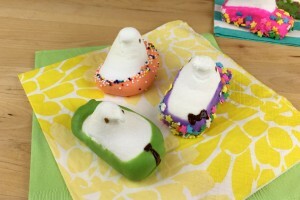 All that’s missing are the judgmental crows… but I have a feeling you won’t want to share these, anyway. 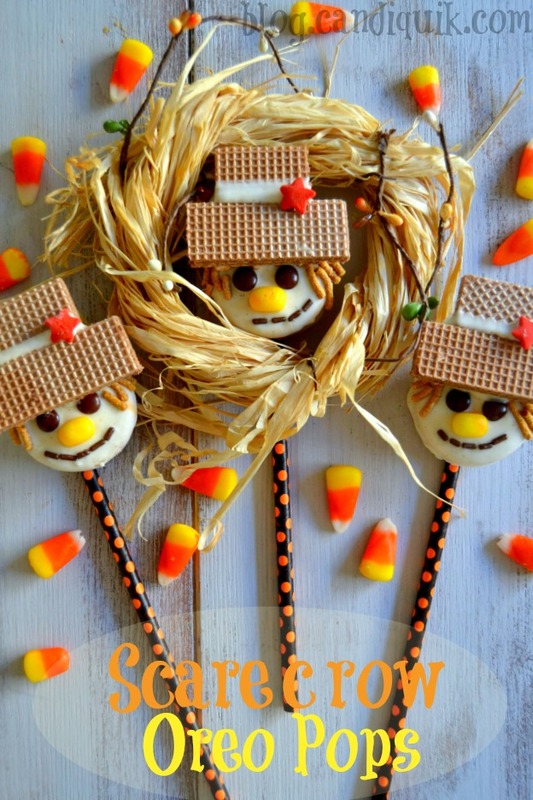 These adorable Scarecrow Oreo Pops are simple to make and would be great and festive holiday harvest gifts. 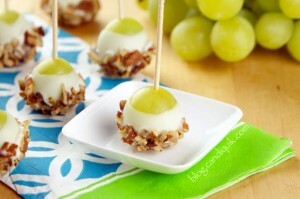 By using simple pantry ingredients you can make these pops in no time! Line a baking sheet with foil or a silicone liner and place your Oreos onto it. Meanwhile, get your other ingredients ready. Melt your CandiQuik according to package directions, until smooth and melted. Stir in the pumpkin pie spice to taste (I used 1 tsp because I like a strong pumpkin-y flavor, but use less if you'd prefer). Dip the Oreos completely into Vanilla CandiQuik, then gently remove with a fork, allowing excess chocolate to drip off. Return the coated Oreo to the baking sheet. Immediately give the Oreo two mini brown M&M eyeballs, a candy corn nose, and affix chocolate sprinkles in the shape of a smile. (For this, I used tweezers I have specifically for cooking and decorating - it makes it precise and easier!) Lastly, take a pinch of fiber cereal and attach it to the sides of the Oreo and a little bit of bangs for his hair. 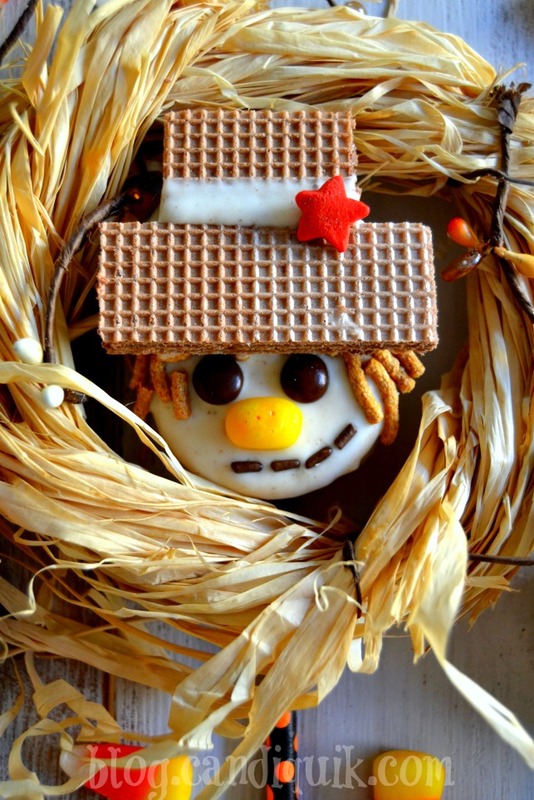 Next, make your hats: cut about ¼ off of a chocolate wafer cookie. 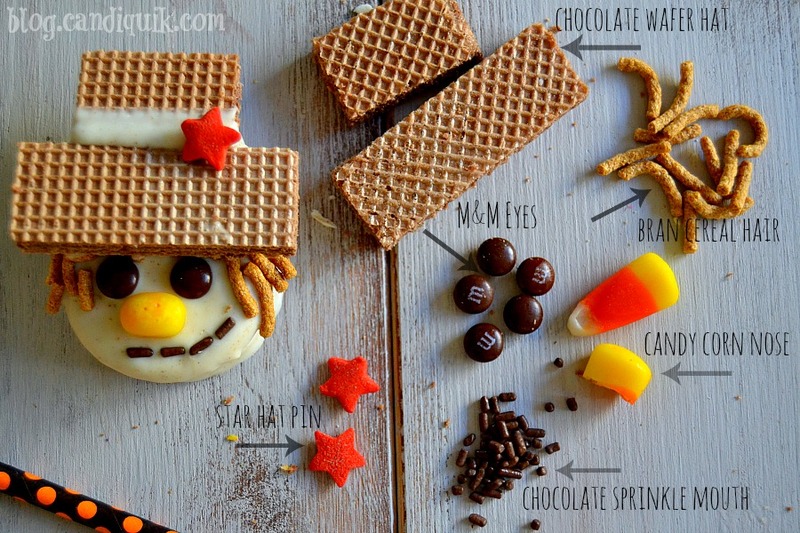 Dip the smaller piece of the wafer into the melted CandiQuik and hold it for about 10 seconds against the longer wafer cookie to create a hat. While the CandiQuik is still wet along that hat seam, attach a star sprinkle. Let the hats set completely. Once the hats and the scarecrows are set, smooth some melted CandiQuik onto the backs of the hats and hold them gently onto the scarecrow's head to adhere. You may want to prop a stray wafer cookie underneath the hat to keep it level with the scarecrow's head so it sets better. Once everything is set and solid, serve! 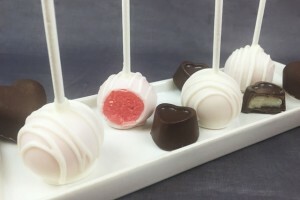 If you're making cookie pops, dip the tip of a lollipop stick into a little melted CandiQuik, then gently insert it into an Oreo cookie, allow to set, then proceed with the recipe as normal. 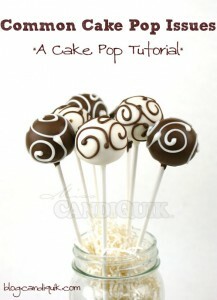 NOTE: this recipe does NOT include measurements because you can make as many or as few cookie pops as you'd like. 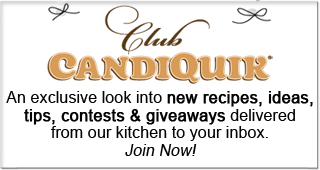 1 standard 16 oz package of CandiQuik should yield around 20 cookie pops. Here’s a helpful little diagram to assist you in creating your scarecrow men!! Cute. 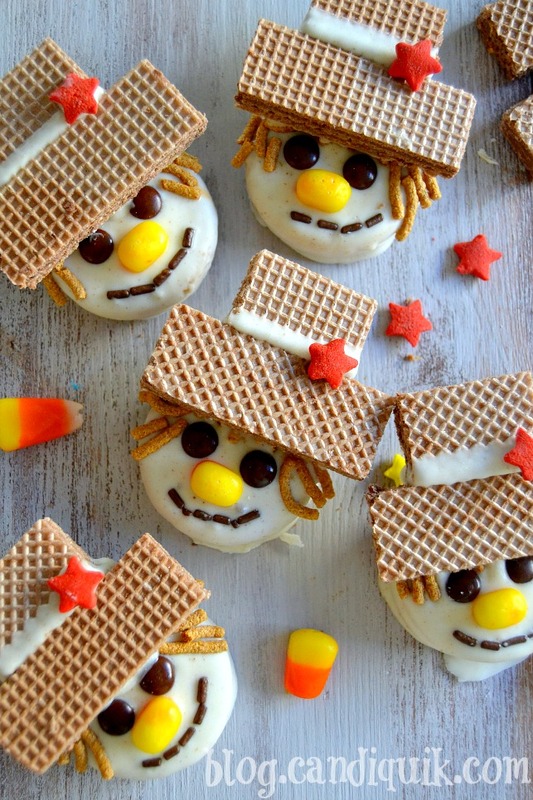 I love the use of the candy corn for the nose.